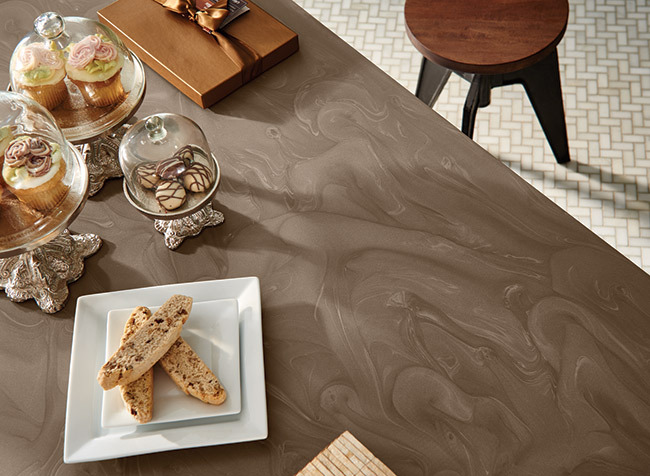 Corian® Cocoa Prima has hues of taupe, light cocoa and glistening metallic elements that are whipped together in a whirling surface. 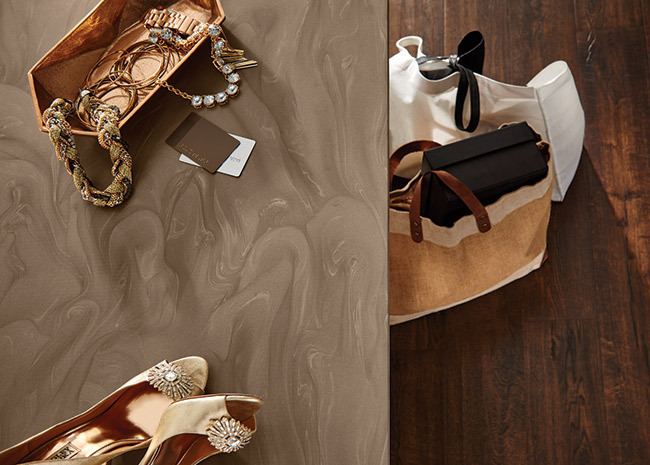 This enticing and natural aesthetic intrigues with its rich color. 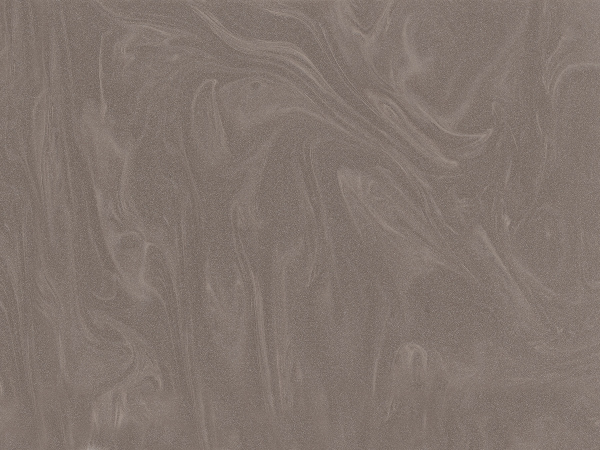 This color exhibits both veined and metallic characteristics.